Register for Team Try Out Now! 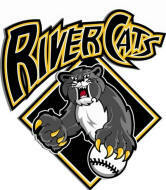 The 2013 Columbia River Cats finished 4th (14-5-1) out of 16 teams in 2013 (The River Cats a Semi-pro Baseball team playing in the Northwest Independent Baseball League highly competitive Columbia division for the upcoming 2014 summer season. We have 3-4 roster spots open and want to fill them with local Portland, Vancouver, Wilsonville, Beaverton, Hillsboro, and Gresham baseball players 22 and older. The majority of the team will have played at the college level or equivalent (pro experience a plus). We play about 25 league games at Sckavone, Walker and Volcanoes Stadium with games split between weeknights and weekends. Our team also plays in some extra tournaments and out of town games as well. If you are interested in playing this summer (2014) and would like more information please email Coop@nwibl.org or Use this Player Registration form add RIVER CAT'S to the comments and have a private team tryout. The 2012 Columbia River Cats finished 5th out of 18 teams in 2012 (Very good for a first year team) and want to move up in the standings. The River Cats a Semi-pro Baseball team playing in the Northwest Independent Baseball League highly competitive Columbia division for the upcoming 2013 summer season. We have 3-4 roster spots open and want to fill them with local Portland, Vancouver, Wilsonville, Beaverton, Hillsboro, and Gresham baseball players 22 and older. The majority of the team will have played at the college level or equivalent (pro experience a plus). We play about 20 league games at Sckavone, Walker and Volcanoes Stadium with games split between weeknights and weekends. Our team also plays in some extra tournaments and out of town games as well. If you are interested in playing this summer (2013) and would like more information please email Coop@nwibl.org or Use this Player Registration form add RIVER CAT'S to the comments and have a private team tryout. The Columbia River Cats finished 5th out of 18 teams in 2012 (Very good for a first year team) and want to move up in the standings. The River Cats a Semi-pro Baseball team playing in the Northwest Independent Baseball League highly competitive Columbia division for the upcoming 2013 summer season. We have 3-4 roster spots open and want to fill them with local Portland, Vancouver, Wilsonville, Beaverton, Hillsboro, and Gresham baseball players 22 and older. The majority of the team will have played at the college level or equivalent (pro experience a plus). We play about 20 league games at Sckavone, Walker and Volcanoes Stadium with games split between weeknights and weekends. Our team also plays in some extra tournaments and out of town games as well. If you are interested in playing this summer (2013) and would like more information please email Coop@nwibl.org or Use this Player Registration form add RIVER CAT'S to the comments and have a private team tryout. Use this Player Registration form add CAT'S to the comments and have a private team tryout. The Columbia River Cats enter the 2012 season as a new team in the Northwest Independent Baseball League. 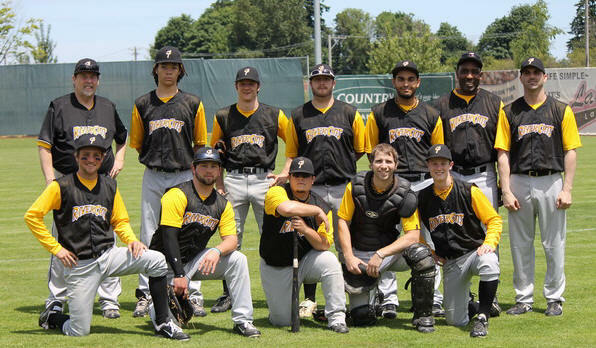 The team consists of experienced baseball players from around the country and here in Oregon Players have High School Varsity to Pro experience. Looking to prove that they can play in the Columbia Division the Cats will play their 2ND preseason game on Sunday April 29 ? ?PM at Walker Stadium. what it takes to compete? Your hear about baseball on the radio, you read about it in the newspaper, you see it on TV…. 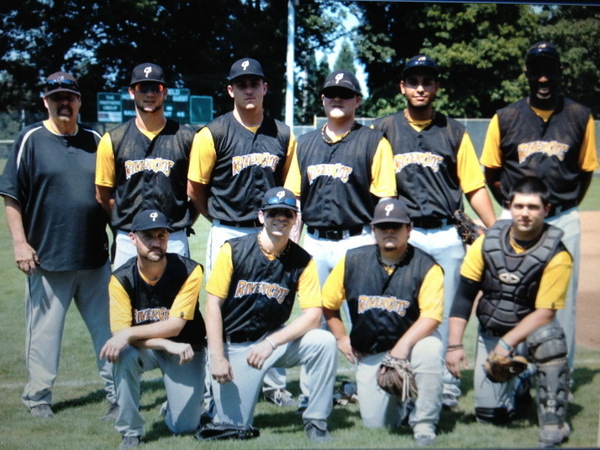 Get your glove and dust off the cleats….Come join the Northwest Independent Baseball League, is a 18 and older baseball semi-professional and adult league in the Portland and Vancouver Area. The Northwest Independent Baseball League (NWIBL) with 18 independent teams offers you a place to play your game with passion. The Columbia division teams are set to have 15-18 players, play a 20 game season on weeknights and weekends, mid May to the end of August. The Columbia Division is a very competitive heads up style baseball league able to play and win against any team in the city. This season players will have an opportunity to be scouted when teams play at Keizer Volcanoes (Giants A-Ball) Stadium. The NWIBL has a league All-Star Game and Home Run Derby, Monday Night and Holiday Pickup Baseball Games. Most Games played at Walker and Sckavone Stadiums in Portland proper. The season climaxes with a grueling 2 week city wide double elimination City Championship Series. Register Here for Summer 2013 and get back in the ball game.